Soft but strong, just like the man himself, this t-shirt will also become a favorite of yours. 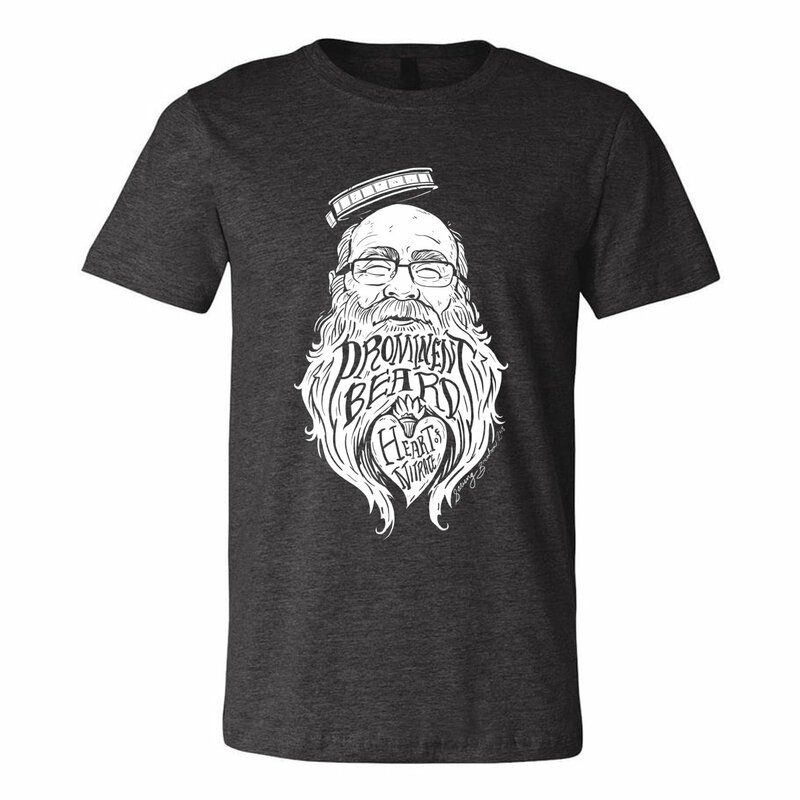 Emblazoned with a hand-drawn image from Iowa artist Ben Mackey inspired by one of our favorite descriptions of Mike—"prominent beard, heart of nitrate." Charcoal heather Canvas Unisex tee.